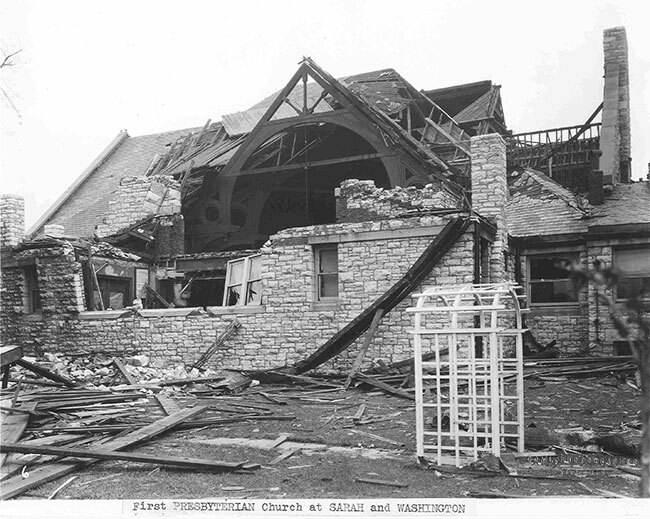 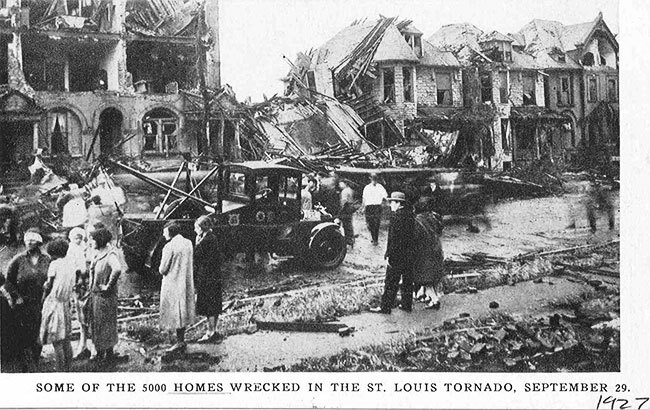 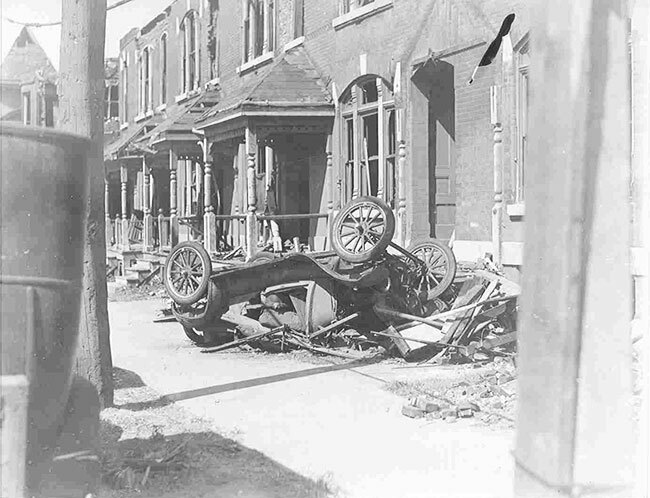 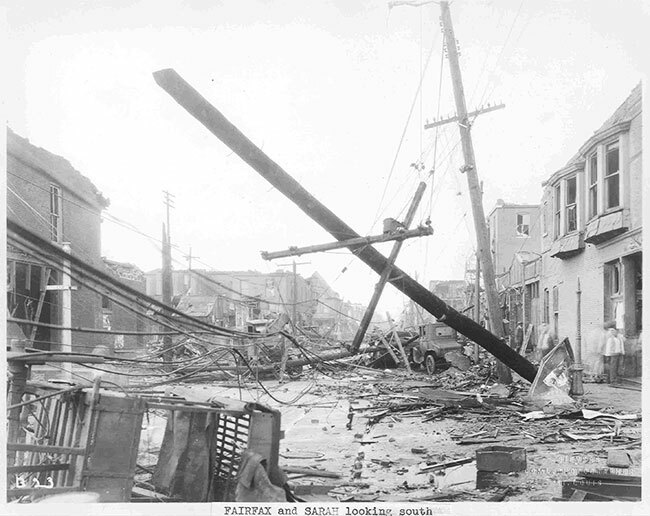 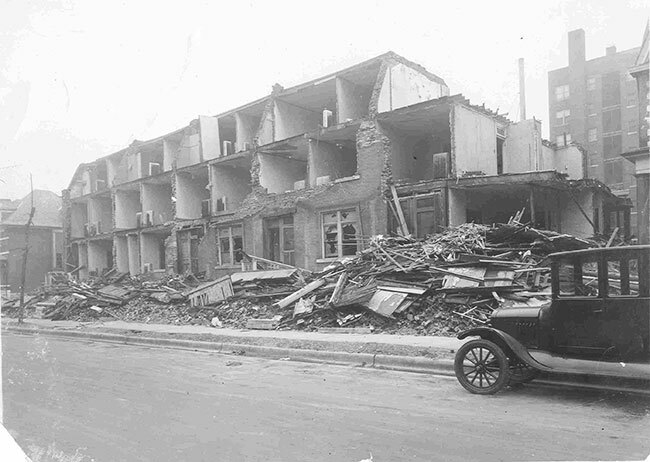 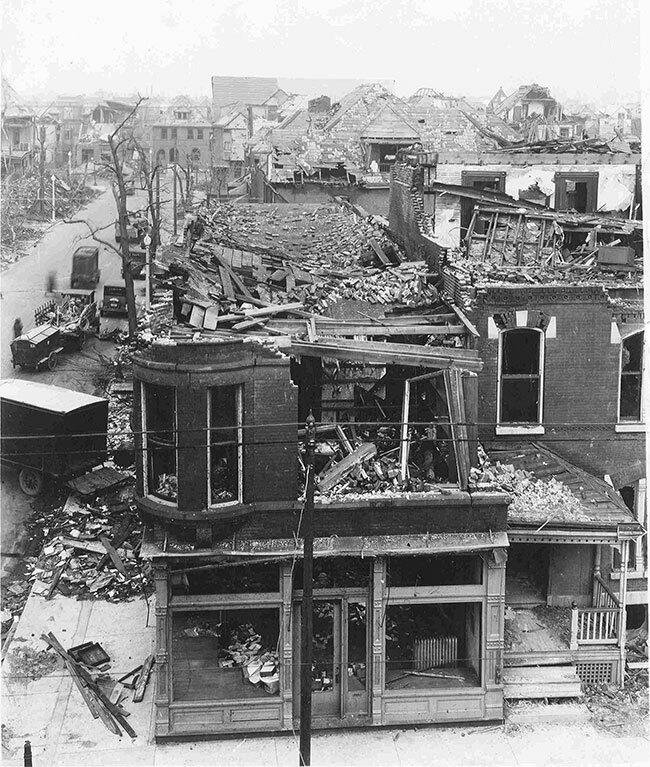 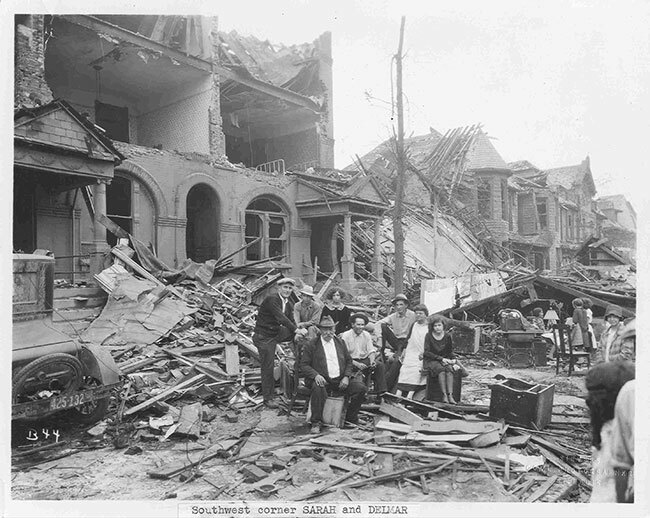 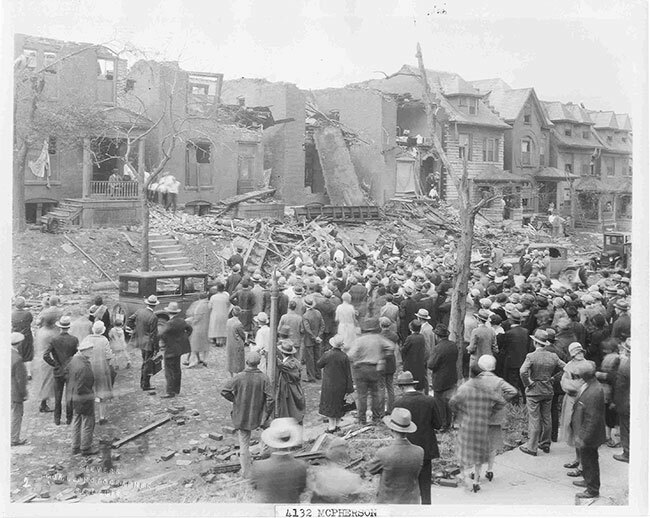 At 1:00 p.m. on Thursday, September 29, 1927, a powerful tornado touched down near Manchester Avenue and Kingshighway. 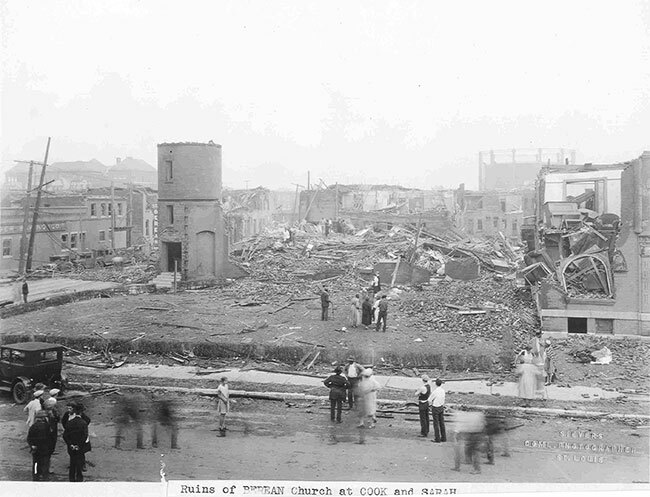 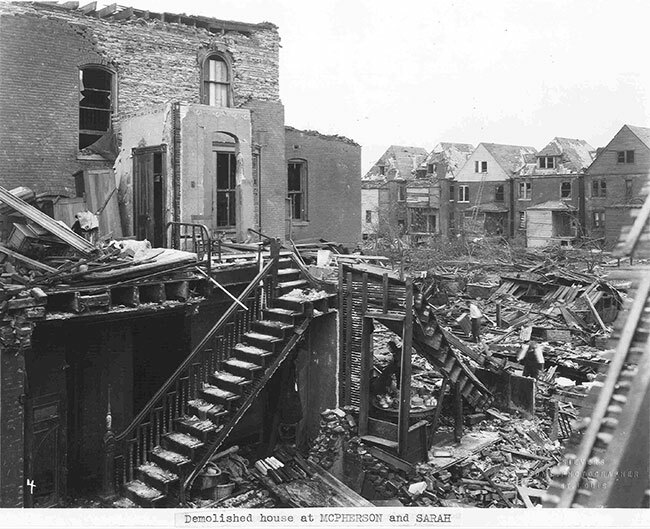 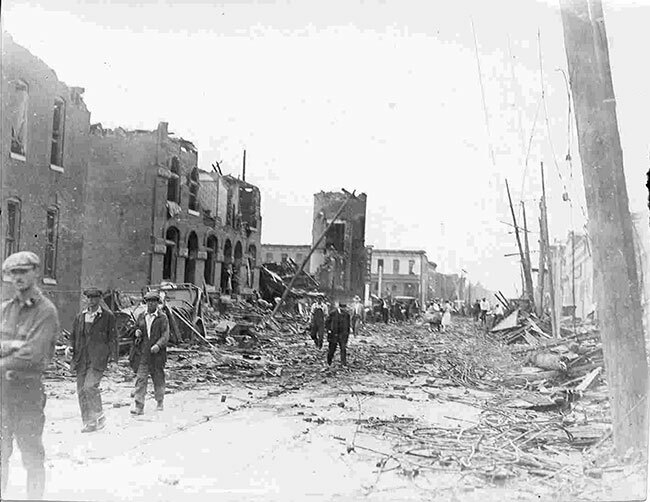 Destruction was evident from Fountain Park to Hyde Park, with 78 killed and approximately 550 injured including students from Central High School where over 1,500 students were in class at the time. 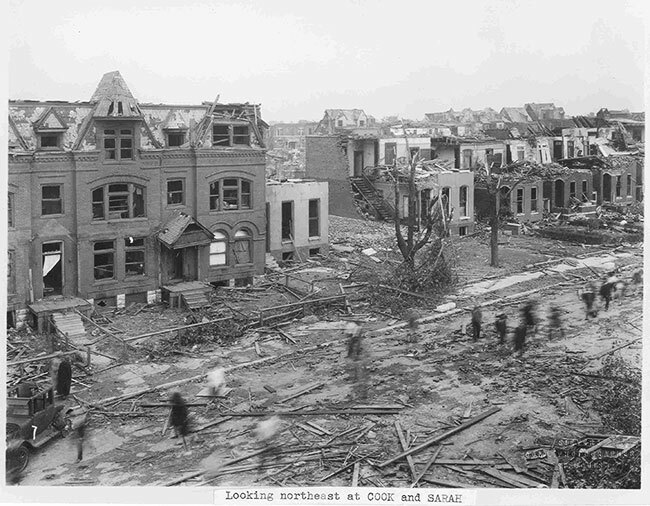 The tornado’s path was 12 miles long and 600 yards wide and damage estimates ranged up to 53 million dollars. 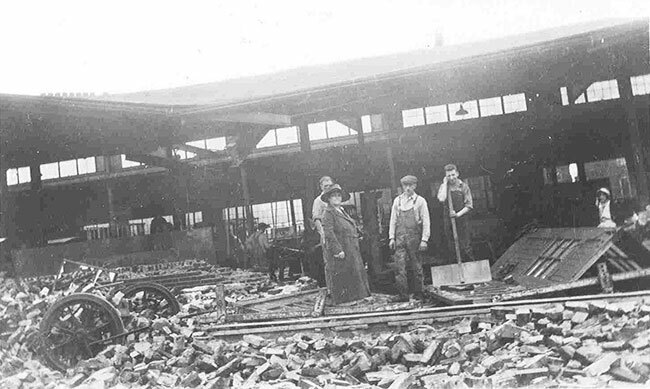 Surveying damage from 1927 tornado at Herman Body Co.